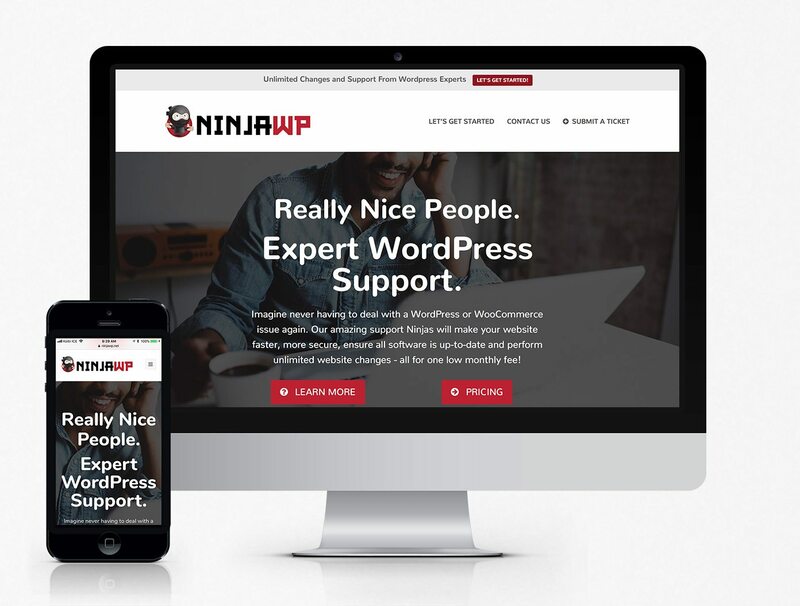 NinjaWP is a brand new WordPress and WooCommerce support service designed to help website owners keep their sites running like a well oiled machine, all for one low monthly fee. 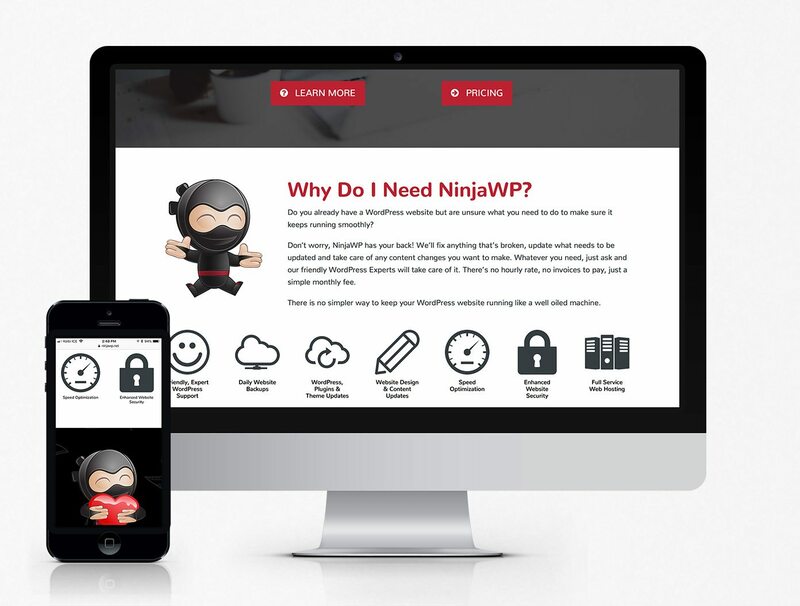 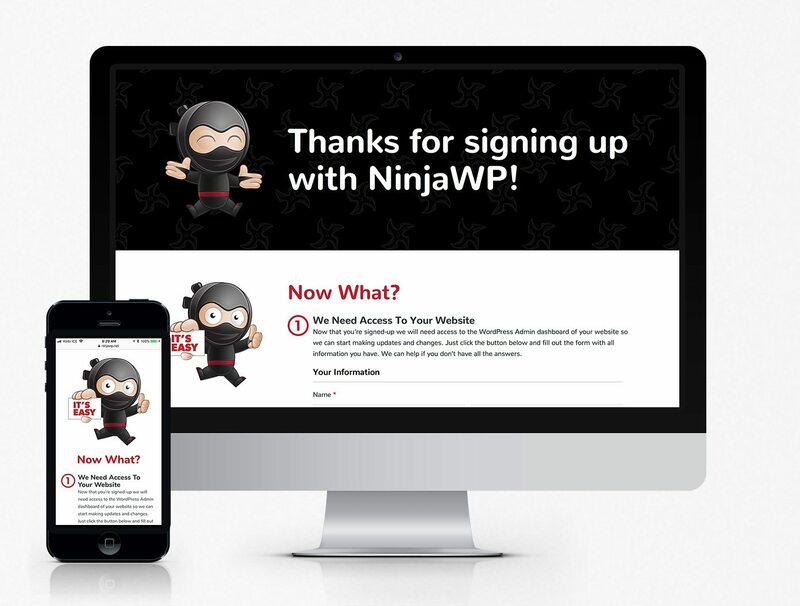 The NinjaWP website was built using WordPress, Gravity Forms and a variety of other WordPress plugins. 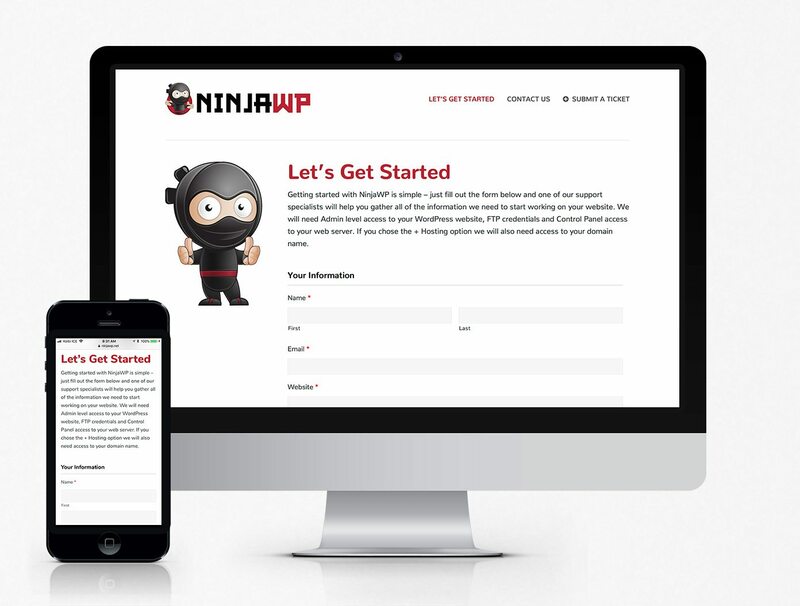 We invested a lot of time and effort ensuring that the customer on-boarding experience was as seamless as possible, running hundreds of tests with a variety of test subjects to find all flaws and hiccups before this website was open to the public.